Bout#3: Two articles in a row with the same title. 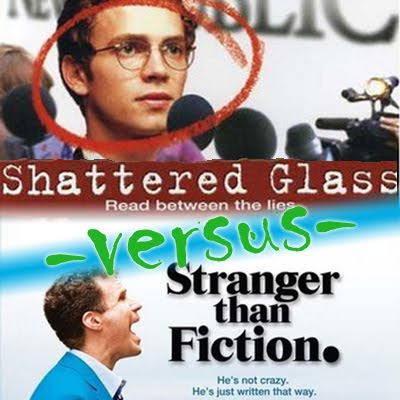 This time, I got to see a based-on-real-life movie my last day of class about a reporter named Stephen Glass who falsified all his sources (Shattered Glass) and the Will Ferrell movie about him realizing he’s a character in a movie (Stranger Than Fiction). I have a feeling I know how this is going to end. Overall: No surprises here. Stranger Than Fiction wins in a landslide. 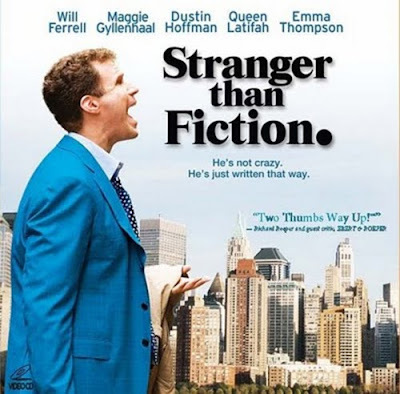 Great, surprisingly underrated movie and I recommend you see it if you haven’t yet. Bug Scale ratings: Stranger Than Fiction = 9.5; Shattered Glass = 2.